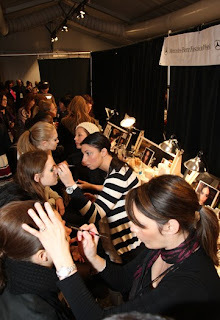 At the Lela Rose Fall 09 Show at Fashion Week, the makeup of choice was Stila Cosmetics. The look was very basic and natural, yet it worked on the runway. Normally, runway makeup looks are hard to imitate at home, but I think this is one you can handle on your own with the new collection by Stila. · Starlight Eye shadow- Shimmer on the eyes. · Cranberry Lip Glaze- Gave the models lips a pouty look. 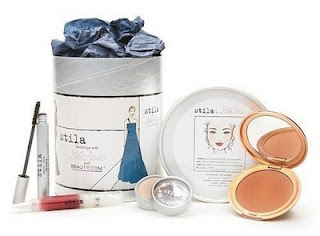 · Stila Sun Shade 01- Bronzer was used on the models cheekbones. · Major Lash Mascara in Brown- Finish off the makeup look. 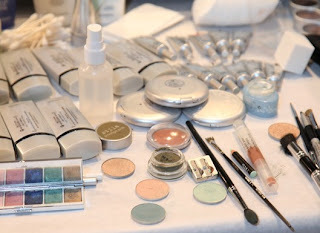 Stila Backstage with Lela Rose and Beauty.com Makeup Collection : $34.